Registration has been updated with a new software provider. This will essentially allow us to better serve you. For all of you who have taken the time to fill out our "home made" registration - WE THANK YOU! This new system will provide an overall better experience for our swim families. Click the New Registration link (Above button and Side Bar-Right). Note: you CAN also enroll in a swim session during the registration process. Click on the session you are interested in. 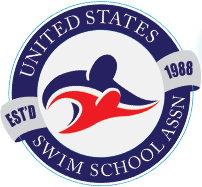 Note: You do not have to enroll in a swim session to complete the registration process. You will be sent a confirmation email of your registration information as well as any swim sessions you may have signed up for in the process. Find the swim lesson session you are interested in registering for and click the red word “Enroll” listed to the left of the session name. Fill out the information requested (fields with asterisks are required.) From there you will also be able to choose additional sessions and add additional students. A credit or debit card or a bank account is required in order to register. In the event that a session is full you will see the word “Waitlist” instead of “Enroll.” To be entered on the waitlist please click that button and proceed. You will be required to enter payment information, however no payment will be made on the account unless a spot becomes available. If a spot becomes available we will contact you regarding enrolling in the session. A temporary password will then be emailed to you. Use that to log in to your account. From there you can change your password–just make sure it has a minimum of 8 characters, 1 of which must be a number. 2013 © Suntastic Swim School LLC.